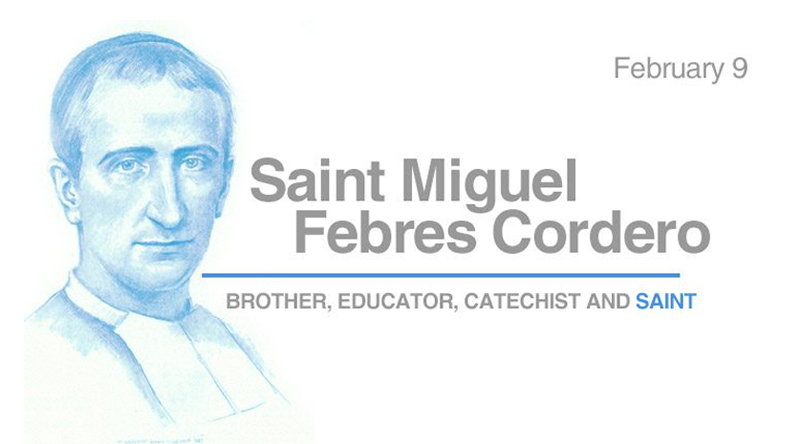 The Lasallian family celebrates the feast day of Saint Miguel Febres Cordero, the patron of the College of Liberal Arts and Commnunications every February 9. Francisco Febres Cordero was born into a family that has always been prominent in Ecuadorian politics. Crippled from birth, he had to overcome family opposition to realize his vocation to be a lay religious, the first native of Ecuador to be received into the Institute. Brother Miguel was a gifted teacher from the start and a diligent student. When he was not quite twenty years old, he published the first of his many books, a Spanish grammar that soon became a standard text. In time his research and publications in the field of literature and linguistics put him in touch with scholars all over the world and he was granted membership in the National Academies of Ecuador and Spain. Despite high academic honors, teaching remained his first priority, especially his classes in religion and for the young men he prepared for first communion. His students admired his simplicity, his directness, his concern for them, and the intensity of his devotion to the Sacred Heart and the Virgin Mary. In 1907 he passed through New York on his way to Belgium, where he had been called to translate texts into Spanish for the use of the Brothers recently exiled from France. His health, always delicate, did not easily adjust to the rigors of the European climate. Transferred to the junior novitiate at Premia del Mar in Spain, during a revolutionary outbreak in 1909 he supervised a dramatic evacuation of his young charges to the safety of Barcelona across the bay. Shortly after they were able to return, he contracted pneumonia and he died at Premia, leaving behind a remarkable reputation as scholar, teacher, and saint.